First of all, I hope you like the new 'look' of the blog! I changed the background, header, link boxes etc. If you're wondering, the girl in my header is one of my idols - Marilyn Monroe. I love that picture of her, so youthful and fresh. Anyways.. I thought up of the idea to do a blog on my favourite perfumes a few days ago, funnily enough my friend Elle just wrote one on that topic too, so we're going to compare after! Check out her blog: http://britneysmedicinecabinet.blogspot.com it's brilliant! In advance, I apologize for the dust on some of my perfume bottles... I tend to forget about them, I only use the same ones over and over. I thought I'd include all my perfumes anyways, I'll tell you which ones are my favourites! Please note; click on the photos and they will appear bigger! My all-time favourite perfume is Chanel's 'Chanel No.5'. My Nana has always worn it, and as you know I adore my Nana. This scent reminds me of her and makes me feel safe, it also makes me nostalgic, as many scents do. I love it so much, I also have the body lotion - my Nana's worse though, she has the bath oil and even the hand soap. She has an amazing collection of the bottles, due to Chanel always changing them (a clever way to make money. It stops people buying refills, as they won't fit their previous bottle!). 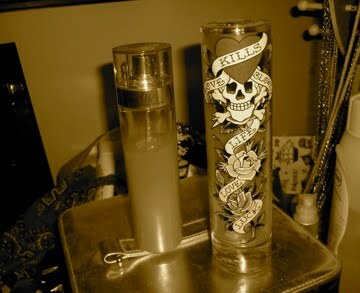 My second favourite perfume (right) is Ed Hardy perfume by Christian Audigier. I first heard of it when my friend Jade came back from Australia with it, a few years ago. It was released a while later in Ireland and I got it last Christmas! I adore this perfume, it's so fresh and also the bottle is amazing! The perfume on the left is a Paris Hilton perfume 'Just Me' I got a while ago, as much as she annoys me herself, I love her perfumes. Especially her 'Heiress' one, which I still have to get..
My third favourite perfume, yes I have them ranked, is the bottle on the left. Hard to make out in sepia I know, but make do with it, haha! It is Davidoff's 'Cool Water'. I bought it in the Boots on Oxford St. in London, in 2008. It's nearly gone as you can see, I adore it! 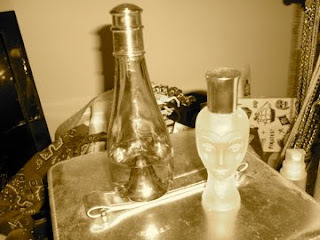 The bottle on the right is an Anna Sui perfume I got one Christmas, I don't know the name of it but it's lovely. Very floral, so I only wear it on some occasions for variety. 'Tommy Girl' by Tommy Hilfiger (left) is a worldwide favourite, I received this bottle like 4 years and there's still some left amazingly! It's very strong the scent, I wore this to school for a good few months and then became sick of it, so wear it in moderation! 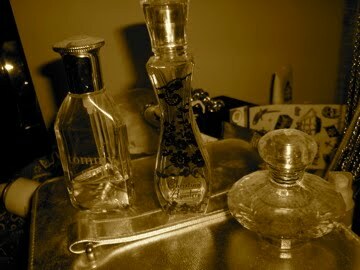 The bottle in the middle is Christina Aguilera's first perfume, and it's just about gone. 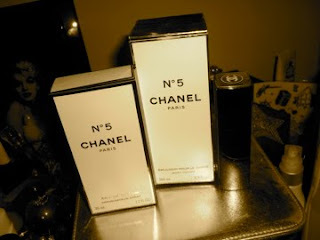 I adore this perfume, it's my fourth favourite. 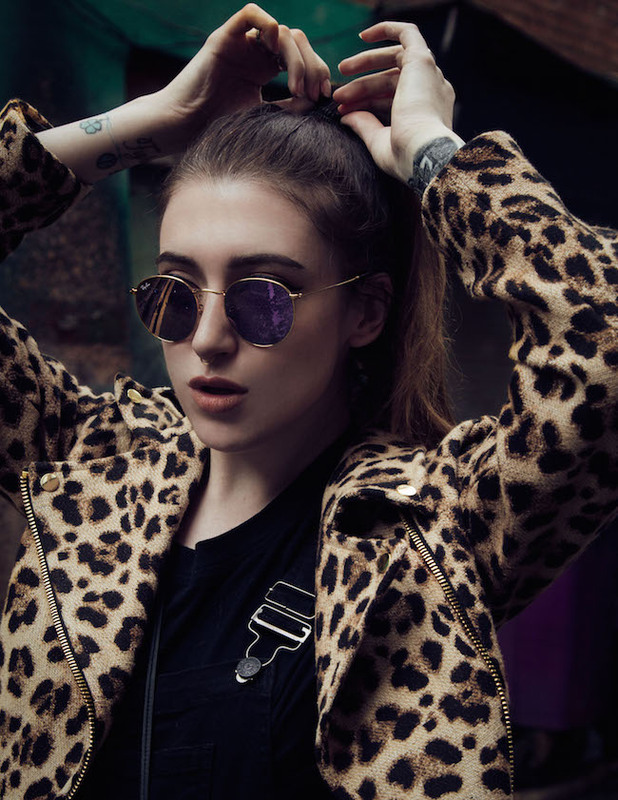 It's very musky but light at the same time and you can wear it everyday and not get sick of it! Britney Spears' 'Curious', I'm not mad about this perfume to be honest, but I like the bottle haha! The famous 'Curious' by Britney is on the left, you could find nearly every girl in Ireland wearing this when it came out! My school stunk of it as everyone was wearing it! I love it, such a sweet perfume.. it's not to everyone's likings! I wouldn't wear it now, as I've become sick of it but maybe I will in the future! 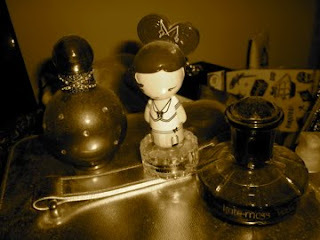 The amazing harajuku-inspired bottle in the middle in one of Gwen Stefani's perfumes, a friend bought it for me on holidays, I love it. The bottle is adorable and the scent is really light. The bottle on the right is Kate Moss' 'Velvet Hour', I received this at Christmas along with the body lotion, and it's nice. I had completely forgotten about it until I took the picture of it to be honest haha! As well as wearing perfume, I wear cologne or body spray. 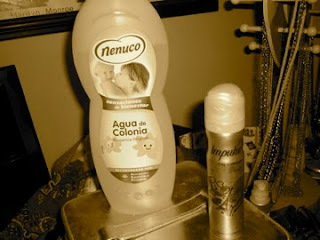 My favourite cologne is 'Nenuco', my Mum used to put it on me as a baby and she still wears it. She went to buy it in our chemist a few years ago but they didn't stock it, so now she gets bottles of it sent over from Spain! I love it, it smells amazing and reminds me of my childhood! The spray I wear is Impulses' 'Paris', my favourite spray ever ever ever. It smells like holidays/sun-cream to me, I just love it. I repeatedly spray it on me throughout the day haha!